Dugard recounts, in her own words, her story of being kidnapped on June 10, 1991. She was 11 years old. 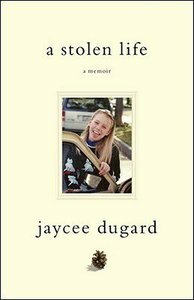 - Publisher When Jaycee Dugard was eleven years old, she was abducted from a school bus stop within sight of her home in South Lake Tahoe, California. She was missing for more than eighteen years, held captive by Phillip Craig and Nancy Garrido, and gave birth to two daughters during her imprisonment. On August 26, 2009, Garrido showed up for a meeting with his parole officer; he brought Jaycee, her daughters, and his wife Nancy with him. Their unusual behavior raised suspicions and an investigation revealed the tent behind the Garridos' home where Jaycee had been living for nearly two decades. "A Stolen Life" was written by Jaycee herself and covers the period from the time of her abduction in 1991 up until the present. In her stark, compelling narrative, she opens up about what she experienced--and offers an extraordinary account of courage and resilience. When Jaycee Dugard was eleven years old, she was abducted from a school bus stop within sight of her home in South Lake Tahoe, California. She was missing for more than eighteen years, held captive by Phillip Craig and Nancy Garrido, and gave birth to two daughters during her imprisonment. On August 26, 2009, Garrido showed up for a meeting with his parole officer; he brought Jaycee, her daughters, and his wife Nancy with him. Their unusual behavior raised suspicions and an investigation revealed the tent behind the Garridos' home where Jaycee had been living for nearly two decades.